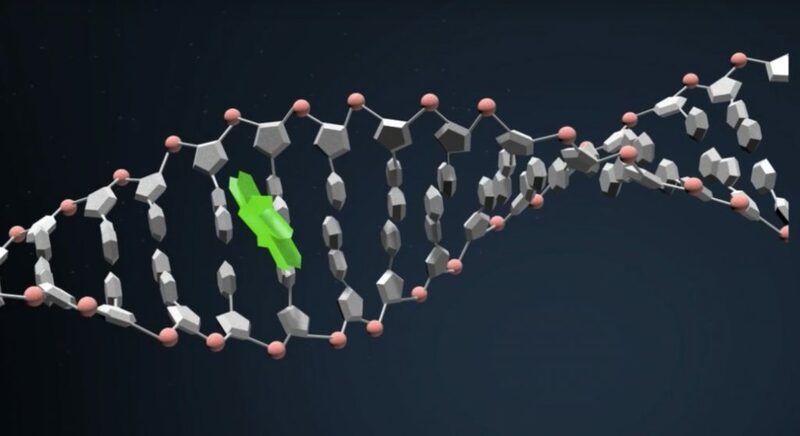 Labeling of nucleic acids, DNA in particular, with fluorescent reagents is one of the essential methods in their investigation and in cell cycle analysis. Currently, it is performed by incubation of cells with commercially available BrdU or EdU, followed by cell fixation and a treatment with antibodies or fluorophore-azide conjugates. Direct incorporation of fluorescent nucleoside triphosphate (NTP) to DNA in cellulo for live cell imaging could be so far achieved only by mechanical disruption of the cell membrane with glass beads, to allow the passage of fluorescent NTP or via microinjection. We developed compounds that are able to “batch” transport NTPs across cell membranes. We are able to stain nucleic acids in live cells in as fast as 10 minutes and with a wide range of fluorophores allowing researchers to be flexible in their choice of fluorophore. We developed and tested several medium-sized molecular transporters for NTPs. Our NTP transporters form a 1:1 stoichiometric complex with any triphosphate moiety (including inorganic triphosphate anion). We tested our NTP-transporters by verifying the transport of commercially available fluorescently labeled NTPs (dUTP-Alexa 488; dUTP-Cy3) in several carcinoma cells lines (U2-OS, TZM-bl, HeLa, Hep G2). The fluorescence was observed in the cytosol within minutes after treatment with the complex in cell culture experiments (U2-OS). Low micromolar concentrations of the transporter and NTP’s are sufficient to stain specifically the nucleus of the cell. No intracellular staining was observed in the absence of the NTP-transporter. If cells are monitored over a longer period, mitosis can be observed. Although the mechanism of the actual transport is unknown, we expected that in the cytosol the modified NTP’s are liberated from the complex by a competitive binding of a native NTP (e.g. ATP) to our NTP- transporter. non-toxic to the cells in the used micromolar concentrations.